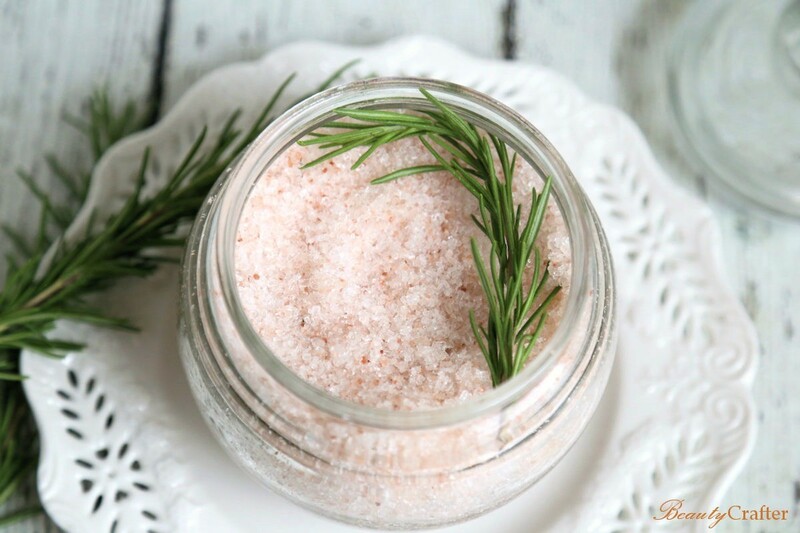 This Pink Himalayan Sea Salt and Rosemary Bath Salts Recipe is great for relaxing a tired achy body and sharpening the mind. There is nothing like a beneficial sea salt bath for that. 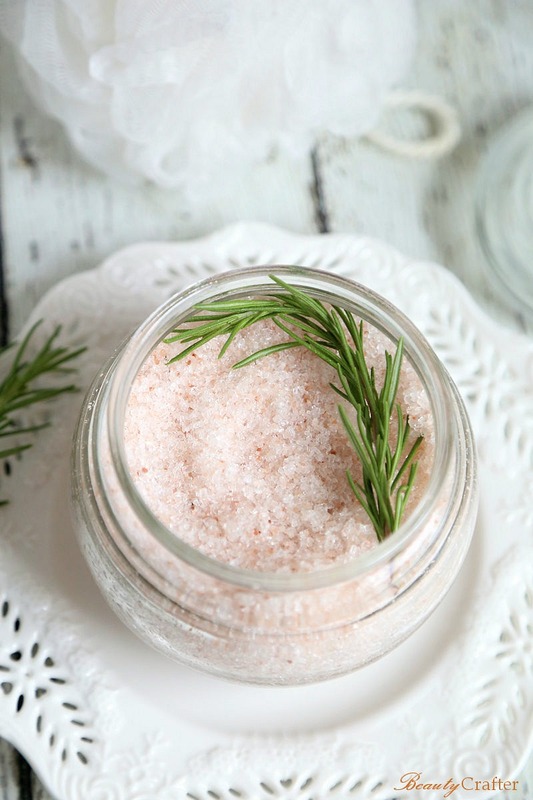 Mix up a batch of this rosemary bath salts recipe and relax. The recipe is simple and a sea salt bath is a great way to unwind after a rough day. Himalayan bath salts make a wonderful gift too, especially for those who endeavor to live a more natural lifestyle. A discussion of the benefits from each of the ingredients in this bath salts recipe. Full recipe with measures below. Rosemary essential oil and epsom salts are both known for their soothing properties on sore muscles. Rosemary has been said to improve memory since ancient times. This essential oil is fantastic for hair. It improves scalp circulation and promotes both new hair growth and rate of growth. So don’t be afraid to dunk your head a bit in this bath. Plant Therapy Rosemary Essential Oil. 100% Pure, Undiluted, Therapeutic Grade. 10 ml (1/3 oz). Himalayan Pink sea salt is a good source of minerals that our bodies all too often do not get nearly enough of in modern life. These minerals help regulate blood pressure and strengthen bones among many other benefits. This sea salt bath alleviates muscle aches and reduces cramping. The magnesium and other trace minerals are soothing to muscles and you are less likely to get muscle cramps if you are getting enough magnesium. Himalayan sea salt creates a detoxifying effect on the body. This salt is well-known for it’s detox properties. While bathing, toxins are drawn out, right through the skin from the underlying fatty tissues just below the dermis. Fractionated coconut oil is highly absorbent on the skin and is very nourishing. 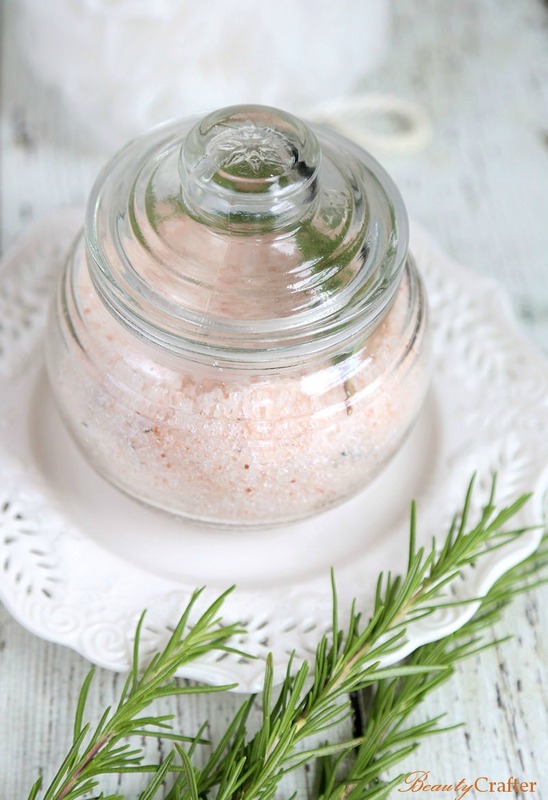 It also aids in the absorption of the other ingredients in this rosemary bath salt recipe. The fact that this oil has pretty close to an unlimited shelf life is a great bonus too. Epsom salts like some of the other ingredients in these bath salts is useful in relaxing tired muscles. The salts also help reduce swelling. Beside all the benefits of using these rosemary bath salts, they smell wonderful and the natural pink hue of the Himalayan sea salt is quite lovely. Here is how to make this simple Rosemary Himalayalan sea salt bath mixture. Simply mix the ingredients together, then seal in an airtight jar.